Everyone is on edge, but the girls must stay focused on the events leading up to the ASAs. Meanwhile, Cassie continues to manage Rashad’s (guest star Major) music career and Carlotta makes a shocking discovery that will change the lives of many. Guest Cast: Evan Ross as Angel Rivera, Major as Rashad, Glenn MaGee as Cousin Duke, Erika Tham as Amber, Kimberly Elise as Dianne, Ashton Grooms as Dior, Caroline Vreeland as Mary, Kayla Smith as Olivia and Kinyumba Mutakabbir as Randall Lawson. Air Date: Wednesday, May 1 (9:00-10:00 PM ET/PT) on FOX. 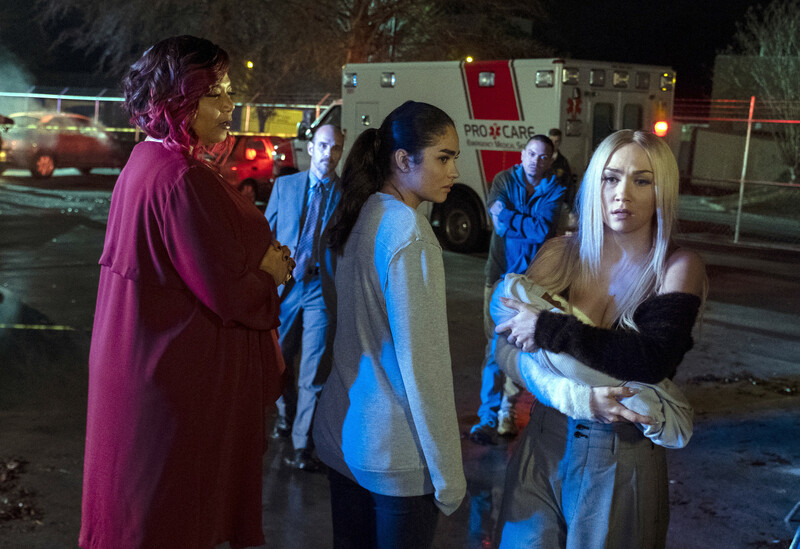 STAR: L-R: Queen Latifah, Brittany O'Grady and Jude Demorest in the "Proud Mary Keep On" episode of STAR airing Wednesday, May 1 (9:00-10:00 PM ET/PT) on FOX. ©2019 Fox Media LLC CR: Wilford Harewood/FOX.